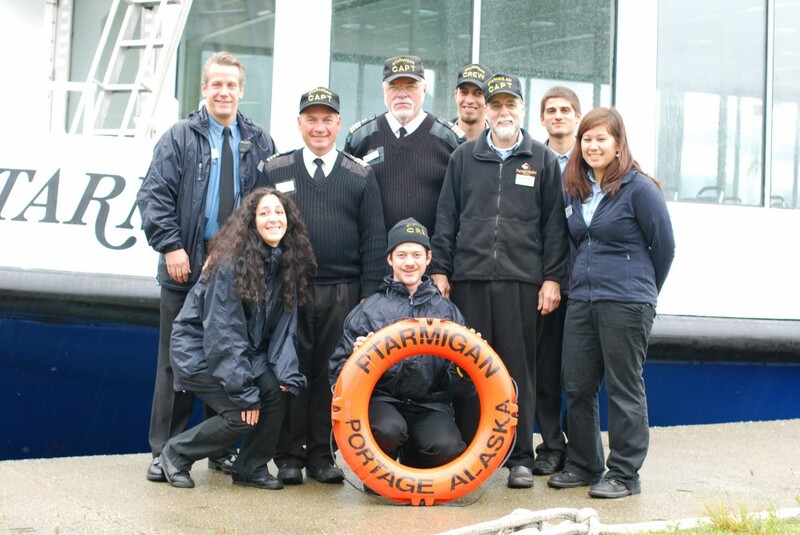 The Marine & Day Boat Division operates Portage Glacier Cruises and the mv Ptarmigan. The mv Ptarmigan is the only boat permitted by the Forest Service to operate on Portage Lake, and makes five 1-hour trips to Portage Glacier each day. Portage Lake is located approximately 1 hour south of Anchorage, in the beautiful Portage Valley. Transportation is provided to and from Anchorage every day. For more information about Portage Glacier Cruises and to familiarize yourself with what working on the boat may entail, please visit www.portageglaciercruises.com. Why Work at Portage Glacier Cruises? Working at Portage Glacier Cruises is an excellent opportunity to develop skills as a deckhand, and to sharpen customer-service skills. No previous experience is required for our boat jobs, though some familiarity with small boats is helpful. Upon successful completion of the terms of the employment agreement, an attractive discounted travel program may be available including cruises with Princess Cruises, Holland America Line and Seabourn. Travel and excursions in the Anchorage area may also be available at a discounted price. Transportation to and from Portage is provided every day. Housing: No housing provided. Private apartments available for rent in Anchorage.